Yes, it is time for the Travelling Pattern to be travelling on (bonus points for first person to identify song lyrics). This TP was started off by Daffycat (aka Sharon) who is having a giveaway at the moment, she is nearly upto 800 followers (WOW!) 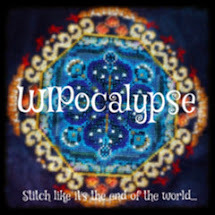 so pop along, see the home of the Travelling Pattern, enter her giveaway and follow her if you don't already (cannot believe that there are people who don't already follow her, she's like the matriach of stitching blogs!). The TP is by Shakespeare's Peddlar and is called "Count Your Blessings". I stitched it on the weird fabric I talked about before using random threads from my scraps bag. The red brick for the house is the same red used on my Doll's House project (which is nice). I added a fanlight to the door and a beak to the bird. I also removed a row from the house so all the windows are the same height and changed the vine so the bird came down by two rows. This was to stop the design falling off the edge of the fabric which I cut thinking it was 32 count not 26! 1. Comment on this post, saying you would like to be part of the Stitcherhood. 2. 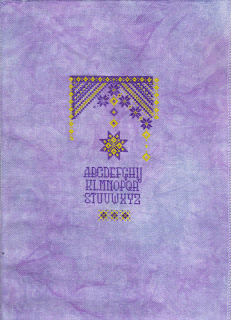 By leaving this comment, you agree (if you are chosen) to stitch the design and send it along to the next person in a timely manner. If this means dropping everything in your rotation to concentrate on this project...so be it. If you can't bring yourself to do this ~ don't sign up. 3. You must have an active blog to participate. If you have a blog but never post to it ~ you won't be chosen to be the next stitcher. 4. This is a giveaway-type Traveling Pattern. That means you must follow it from blogger to blogger to enter each time it is ready to send along. Commenting on this post doesn't make you a guaranteed part of the Stitcherhood. The links above are all for the posts where the TP appears in all it's glory so you don't have to rummage through the blogs to find them. Aren't I good to you? As the rules state, to be the next member you just need to comment on THIS POST only. Just for fun I'd like to know "who is your stitching blessing?" OK not a very grammatical question! We all have much the same blessings in life - our partners, our kids, our grandkids, our furbabies, our health and the fact that we live in countries where we can indulge ourselves with this amazing hobby rather than spending 8 hours a day looking for clean water: SO - who do you count as your biggest stitching blessing? For me it'd be Erin who passed the TP on to me! If your stitching blessing has a blog please include a link. I need to follow more blogs (hahaha). Here's my progress on Periphaeria's Star SAL, I have nearly done all of Parts 1 and 2 and most of the middle so I'm quite pleased. The fabric is 28 count Purpleberry Spludge from Sparklies who will be having a sale on the Bank Holiday Weekend. Other news - it is one month exactly to my Sapphire Birthday and I currently have 88 followers. I will be doing my first giveaway at either 100 followers or on my Birthday. I need half a follower per day to reach 100 before the big day, so if you are half a follower please sign up and bring the giveaway forward! I will be choosing the next person on Monday 22nd August, so make sure you post by midnight Sunday. And don't forget to tell me who your stitching blessing is. Freebird is the answer (I think) to your lyric question. Loving your progress on your SAL as well. My biggest stitching blessing would have to be "Cathartes" aka Irene, she's a regular on the about.com cross stitch forum. She has blessed so many of us that frequent the forum, the latest for me was a beautiful Dimensions Gold kit of the Woodland Enchantress. I'd had it on my wish list for ages. She found it at Goodwill (in perfect condition) for just a few dollars and then sent it to me! Unfortunately she doesn't have a blog but if anyone is interested, poke your nose in at www.crossstitch.about.com there's a wonderful bunch of stitchers there. Looking forward to seeing who you do end up choosing. I'd love to see the TP come to Pennsylvania! I have a whole group of people who are a "stitching blessing" to me--the members of the Delware Valley Historical Sampler Guild. Since joining the group, I've met so many wonderful stitchers and have been inspired by their work and in awe of some people's skills. One of the things I love about the group is how accepting they are and how encouraging they are no matter where a member is in her stitching journey. hi, i really love your stitching on the travelling pattern..
your sal stitching is so sweet too..
oops i forgot to tell you about my stitching blessing..
For the bonus points - "Free Bird" by Lynyrd Skynyrd. Of course, I'll be humming it all day now. Unfortunately, with my lack of stitching time, I couldn't take this on, so I'll pass on traveling pattern. Beautiful progress on your Periphaeria SAL. My stitching blessing? I suppose I have two. First, the Hubs - it would be a very uncomfortable house if he didn't understand (or at least pretend that he understands) my stitching habit. Second, all the bloggers that allow me to be part of a stitching community. I don't live near any stitchers and my work/commute doesn't leave me time for EGA, etc. so blogs fill that void. Love your finish Jo. It's so pretty. Hi Jo, Oh, I love the idea of a travelling pattern. How clever is that? I would love to be the next stitcher - surely it is time for the TP to come down under? 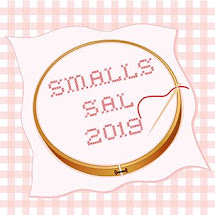 She is a very generous stitcher who has shared some wonderful patterns with me and is the person who got me into this oh so addictiive cross stitch blogging. Daffycat is great isn't she, and she is my stitching blessing as she was my flossmom!! 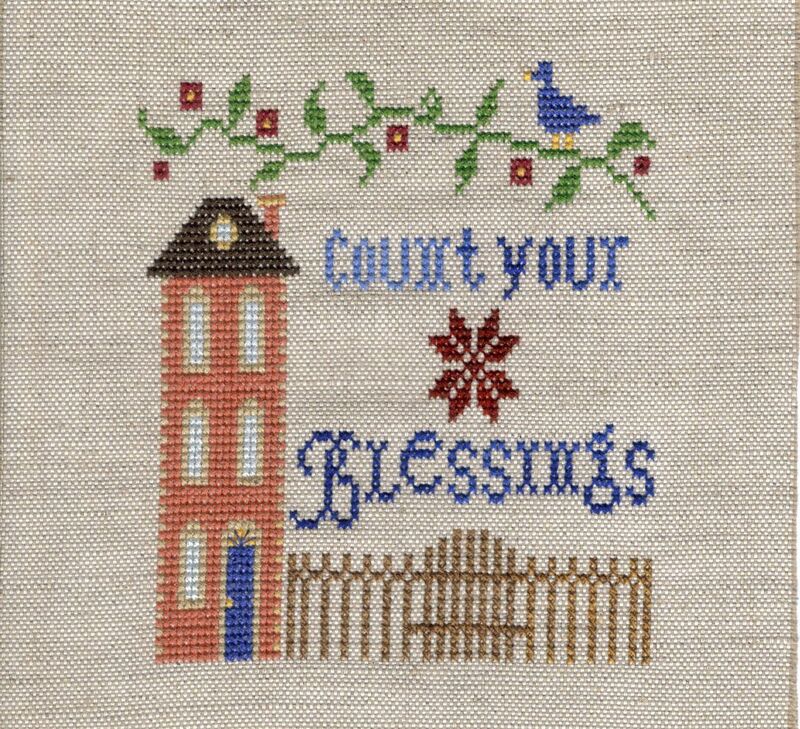 I love your Count Your Blessings finish, great choice of colours and I like the changes you made as well. I'd love the join the Stitcherhood if I was lucky enough to be chosen, and would be sure to stitch & pass the design on quickly. I also have an active blog. My stitching blessing is Sally who I've known online for longer than any of my other stitchy friends, a lot of years is all we can work out lol, and who I've been lucky enough to spend time with in person on three occasions now although we live a fair distance apart. She has helped me through some very bad times and I would be lost without her. I love your new SAL, the colour of that fabric is gorgeous! 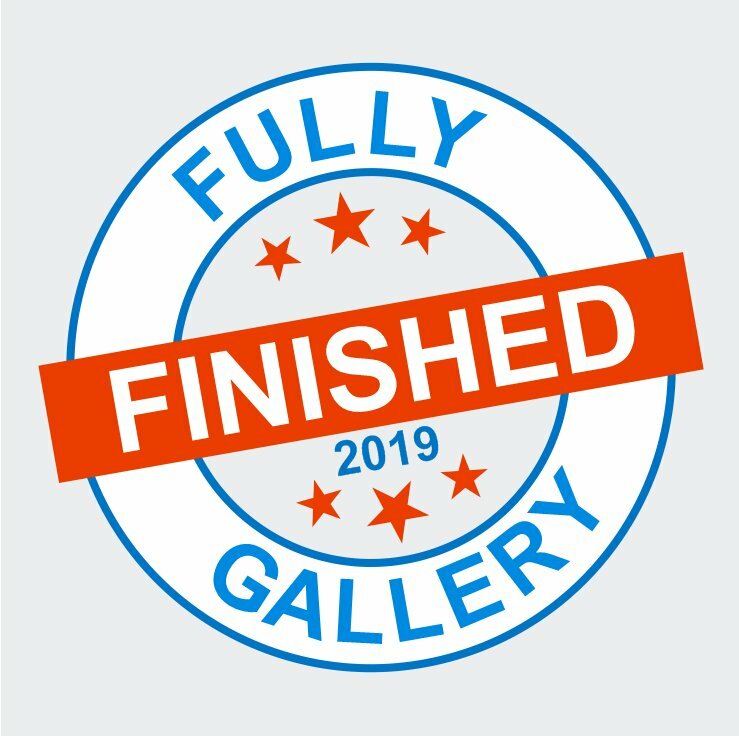 Love your finish and yes you are good to us! I'd love to be part of the Stitcherhood and receive the TP next. 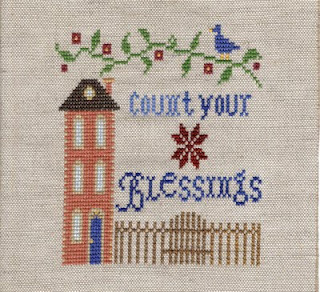 My stitching blessings would have to be all the members of my Tuesday Stitching Group which I joined while recovering from post natal depression some 15 years ago - they have been a huge blessing to me. I really love how you made this pattern your own. I like the colors on Periphaeria's star. It looks great on the fabric. My heart would be thrilled to be a part of the stitcherhood. I promise to stitch the design in a timely manner. I am an active blogger. I am a follower of your blog. My husband is my stitching blessing. He plays a big part with helping me decide on colors of floss and fabric. He is also great with putting the finished pieces into frames. He is wonderful with supporting my needs of more patterns and stash. Without him I wouldn't be the Stitcher I am today. I love him so much. Love your "Count your Blessings" finish. Love also your SAL project. And I would love to to be part of the Stitcherhood and to welcome the chart to a temporary stay in Australia. I would love to be entered into the sisterhood. I have an active blog. Many thanks for the chance. Please include my name in the travelling chart! I'd love to be a part of soemthing like this. I have to say my Stitching Belssing is the internet and all the wonderful stitchers out there sharing their talents and knowledge! It started with Bullitin Boards and Message Boards back in 2000 ish for me and today the current medium seems to be blogs which I've been doing for over 7 years myself. I have met the nicest people ever through the internet, the most generous people and made some wonderful lifelong friends who I would of never crossed paths with otherwise! Count me in the Sisterhood and I would love for the TP to visit me in Arizona USA....I think a desert trip would round out it's travel destinations. Oh....thanks for posting the links to all of the "stops" for the pattern. I had lost track and now I can catch up! Like your finish...your colors are so bright and pretty! Please count me in to be considered for the Stitcherhood, it wouldn't have to travel so far but it needs some more UK stitcher time. Lovely finish on the travelling pattern and please count me in for the draw. My stitching blessing is all the great blogs I've come across since getting back into cross stitch. It's so awesome to have a bunch of people at my fingertips who are stitchers just like me! That is such a sweet design. Here's to a Great Travels for the Traveling Pattern! Have become a follower, but will not sign up for the travelling pattern, lovely as it is, cannot wait to see what your give away will be. Sapphire is my birthstone. Love the Star SAL I love anything purple and your mermaid is just lovely. Please add me to the Travelling Pattern drawing. My stitching blessing is my 95 year old second mother who taught me to cross stitch and is still stitching. I want to grow up to be just like her. Beautiful.......and counting blessings is something I'm trying hard to do right now. Some days are good and others....bleuch! My stitching blessing was my mum, I now realise long after she left us. Thanks, Mum! Also my dear World Traveller, who hasn't got a clue, but likes that stitching makes me happy! And all my online stitching friends......glory, this could be a long comment! Thanks, Jo, would love to put my name in and will post on my blog at the weekend. 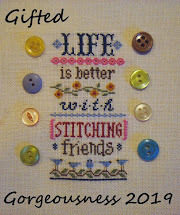 My stitching blessing is the wonderful friends made thru an online stitching community. Many I've met and many I probably never will, but all are dear to me. I won something and need your help! This week's progress and Is it Just Me?